Today is tygertale’s 1st birthday. 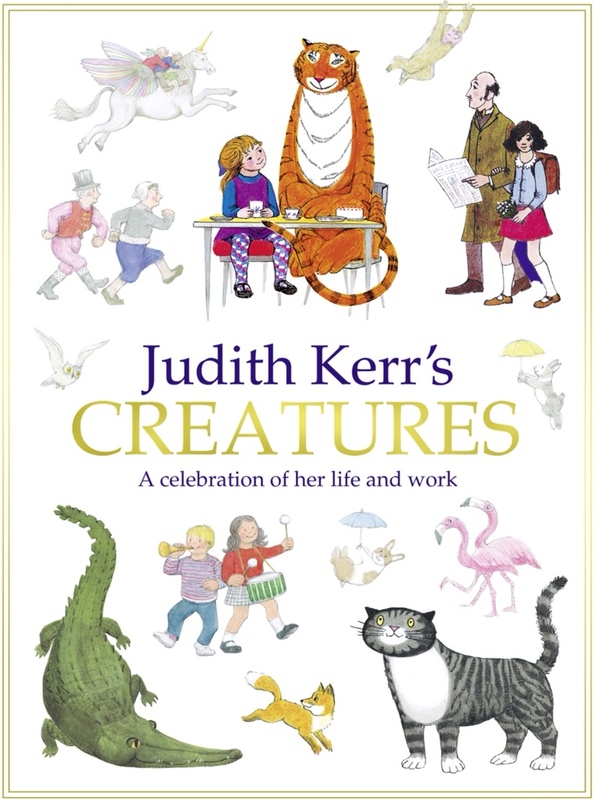 By happy coincidence (and much more importantly) it is also Judith Kerr’s 90th birthday. To celebrate I went out and bought a copy of her autobiographical new book Creatures. ‘That book is simply gorgeous‘ the charming young man behind the till in Foyles rightly pointed out as I went to pay. ‘Just gorgeous’. He said again. ‘I know.’ I said, and skipped out of the shop with that lovely book-shopping buzz you get when you’ve spent a lot of money you don’t really have on something beautiful. The biography, as it turns out is largely inseparable from her writing. 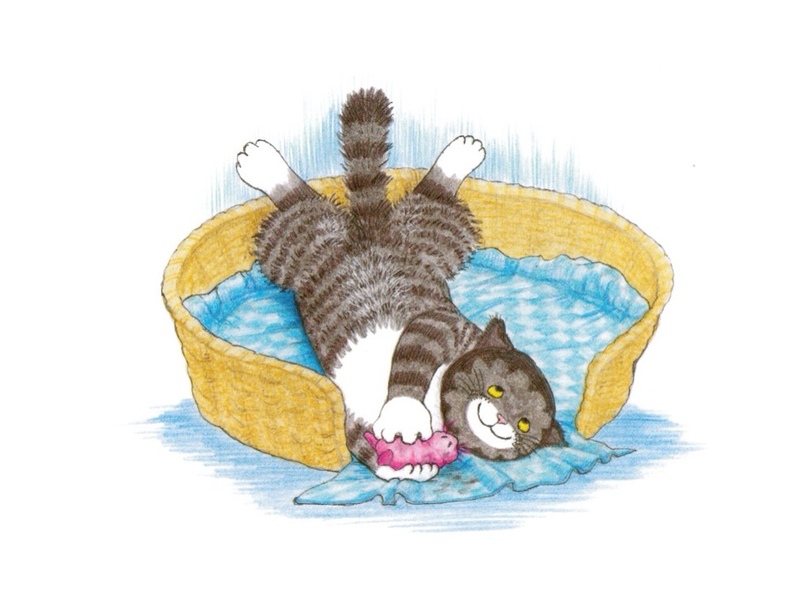 The Mog books were written about her family life and the antics of her own ‘weird’ cats, including the real life Mog, who used to sit on her lap as she drew. These creatures fascinated her all her life, but she was never allowed to keep them until she was an adult due to her itinerant upbringing as a German-Jewish emigre. It’s inevitably this early period that is the most fascinating, and one that will be familiar to anyone whose read her ‘Out of the Hitler Time’ trilogy. 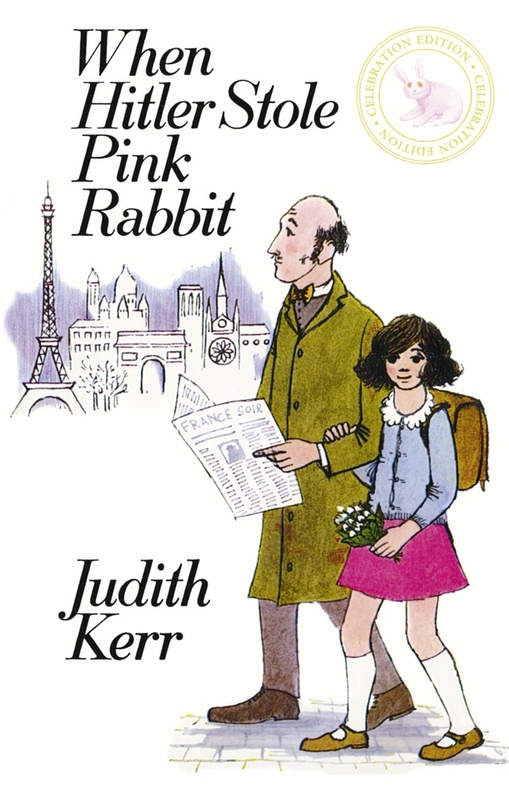 When Hitler Stole Pink Rabbit (re-published today) was the first of those books. It tells the story of her family’s flight from Germany in 1933 on the day the Nazis came to power. Her father Alfred Kerr was a famous theatre critic and playwright, and an outspoken critic of Hitler. 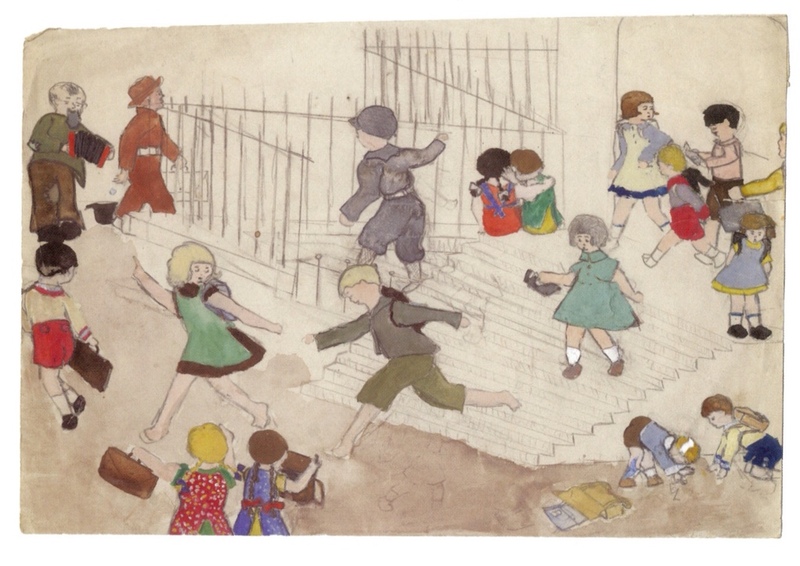 Were it not for a policeman who was a fan of his writing tipping him off about a Nazi’s blacklist with his name on it, there would almost certainly have been no Judith Kerr for us to be celebrating today. 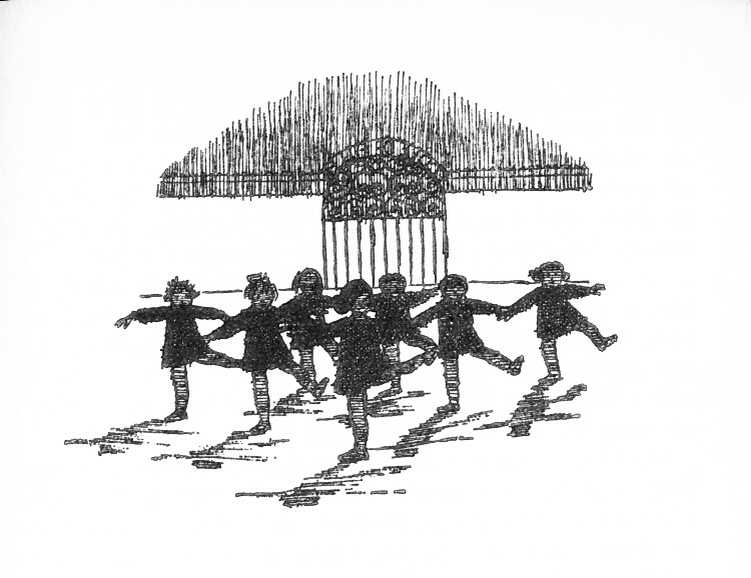 The novel had a huge effect on me when I read it aged 12. 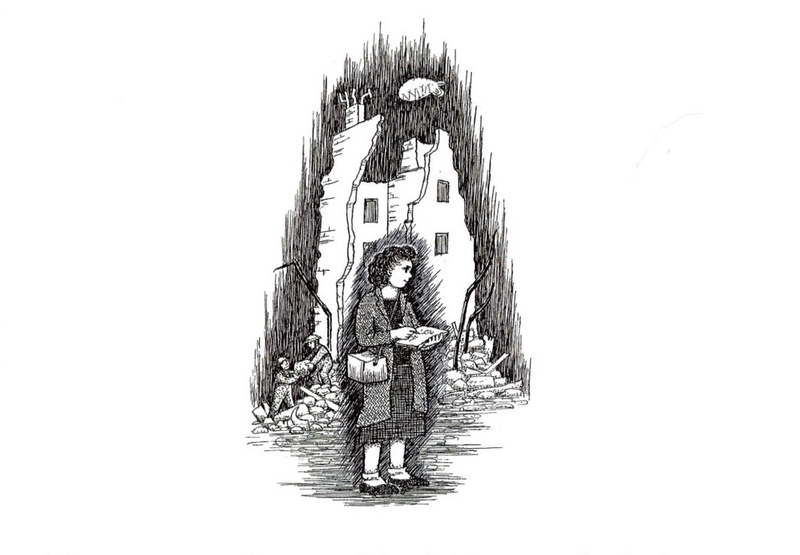 It is the perfect introduction for young readers to the horrors inflicted on the world by the Nazis and it stoked my imagination, leading me to other great books by Ian Serraillier, Hans Peter Richter and later Primo Levi and Kurt Vonnegut. But I had forgotten what a beautifully subtle book When Hitler Stole Pink Rabbit is. In When Hitler Stole Pink Rabbit, Kerr again makes the reading experience of the young reader her priority, periodically dropping in information about the wider history against a gentle narrative of Anna’s experiences. I say gentle, as this isn’t one of those stories that ends up in a concentration camp, but it has such great momentum and is filled with such eccentric characters that it’s never boring. At its heart this is a story about childhood and growing up away from home. From this perspective it’s the children who provide the most telling observations about the terrible absurdities of the Nazis anti-Jewish policy. ‘I thought Jews were meant to have bent noses, but your nose is quite ordinary. Has your brother got a bent nose? For some reason I never read the two sequels growing up. I knew there was a second book, The Other Way Round, dealing with the Kerr’s experiences in wartime England, but in that pre-internet age I could never find it in the library or bookshops. So it was a thrill to finally get my hands on a copy, finding that at some point it had been given the much better title ‘Bombs on Aunt Dainty‘. It’s several years on and the family are in wartime London. 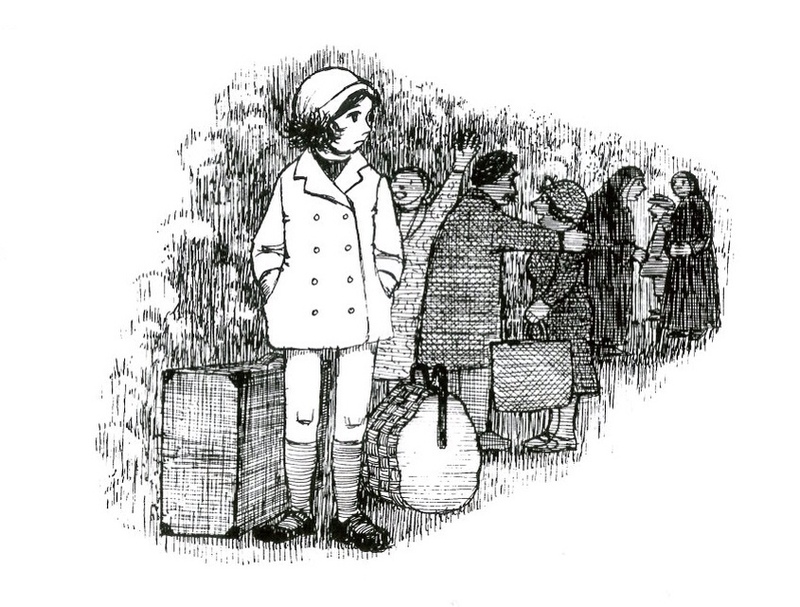 The sense of wonder felt by Anna in the first book at moving around, and learning new languages and meeting peculiar new people has worn off. As the bombs fall around their shabby Bloomsbury hotel, Anna is driven away from the relative safety of the basement by the fretting of the curious bunch of emigre residents. She returns to their rooms and is joined by her father in admiring the enemy flares. 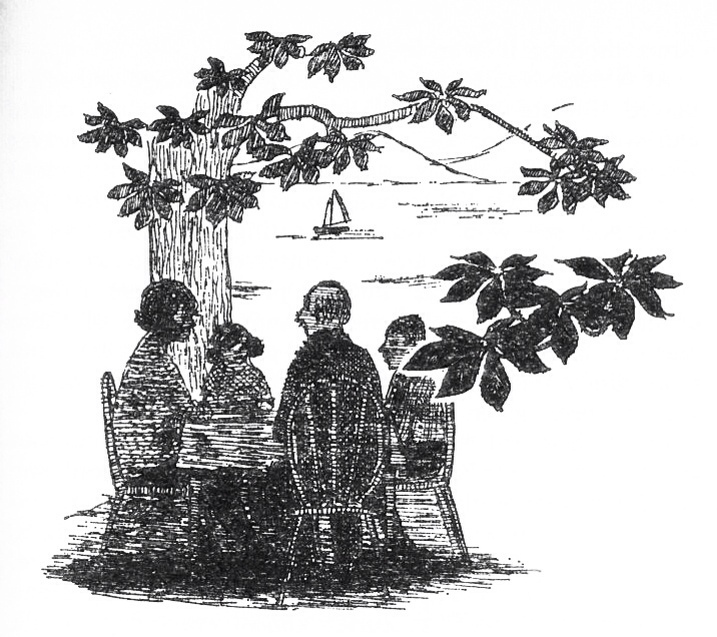 As that passage suggests, Bombs on Aunt Dainty is also about Anna becoming an artist. 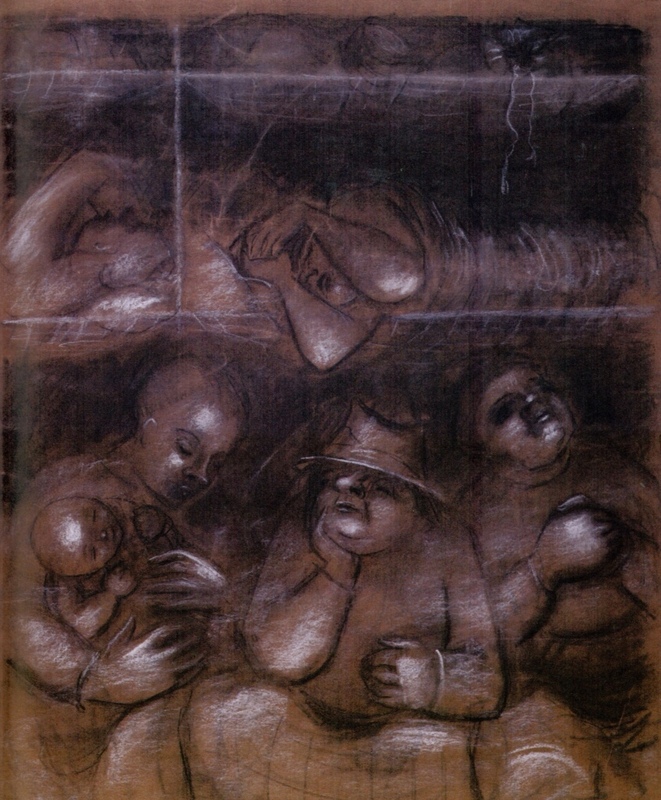 Judith was clearly a very talented one, as this drawing ‘Shelters’ from 1943 shows. What’s so satisfying about the trilogy is that the books mature to suit the age of the character, but are still held together by the same reassuring authorial voice. In A Small Person Far Away we meet Anna again in 1956, a married woman with a new career at the BBC. Her father is dead and her mother has returned to Germany where she has attempted suicide, bringing Anna and her brother Max back together for a rare family reunion. It’s an adult book really, finally removing the parental safety net that had been there for Anna in her journey through Nazi Germany and into wartime. Against the backdrop of rising tensions between east and west we discover the shocking truth about what her parents went through to keep them safe. Earlier we have seen Anna’s Papa visit a friend who slips him a couple of pills, ‘Just for use in an emergency’, he tells Anna causally. 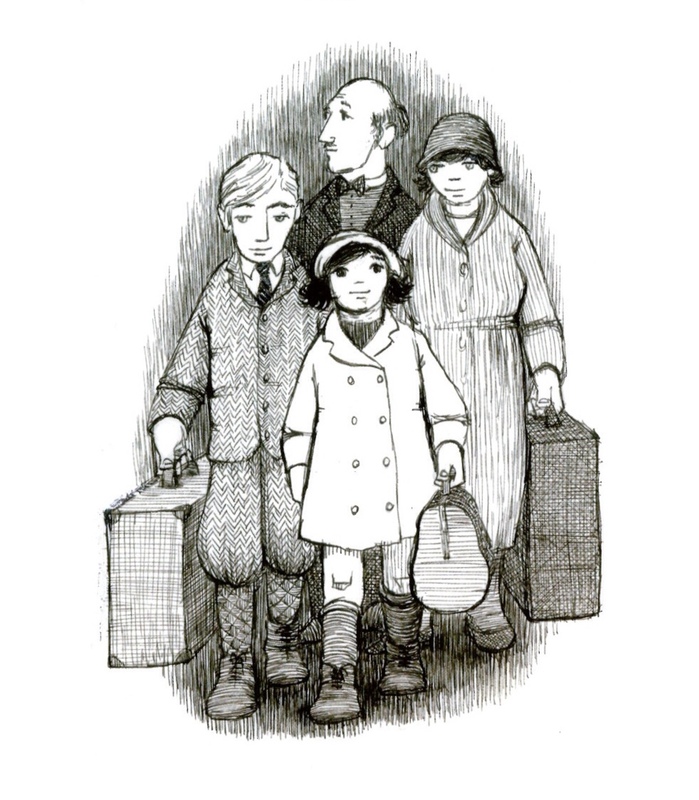 In 1948 Alfred suffered a stroke and after a short illness took his own life, with the help of Judith’s mother. Here we learn that the pressures on her had become so great during that time that she too had previously popped one of those ’emergency pills’, but survived. Their attitude to death is fascinatingly dealt with, impossible to fully comprehend without having not gone through persecution, war and loss of identity. 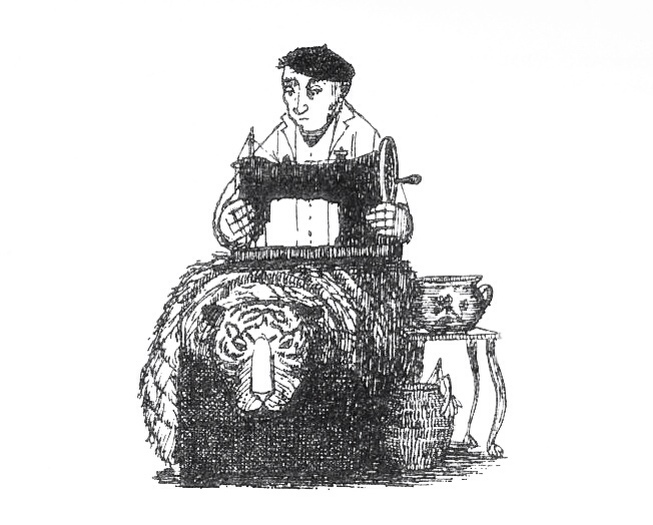 Judith Kerr didn’t write her first book The Tiger Who Came to Tea until she was in her forties. She has frequently spoken about her frustration at her failure to produce work earlier. She’s made up for it in recent years, following her husband’s death she’s turned out a stream of brilliant picture books about cats and old people. I wonder if this sudden burst of productivity, and the feelings of guilt for her fallow periods are an inheritance from her father, a great literary figure who literally had his voice (and audience) taken away from him in later life? If you’re wondering what Hitler actually did with pink rabbit, there’s a suggestion of a happy ending. In Mog and Bunny he’s found his way into the Thomas household and the grip of a weird stripey tiger called Mog. 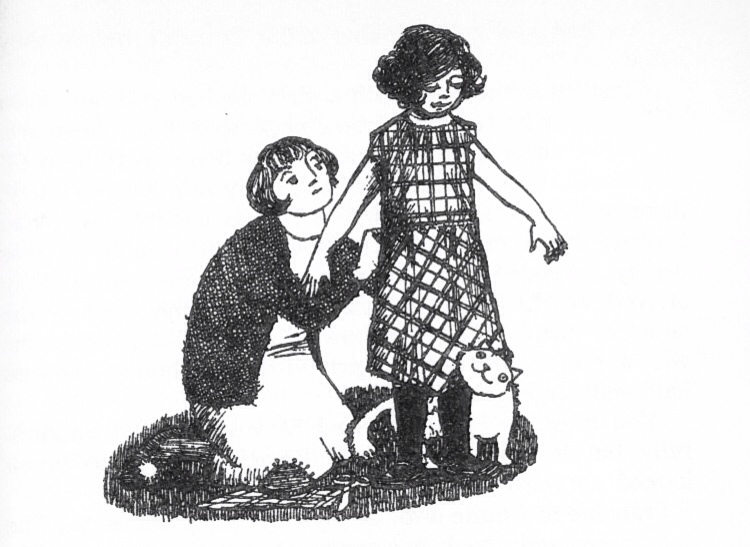 Tags: Judith Kerr, Mog, Nigel Kneale, The Tiger who came to tea, When Hitler Stole Pink Rabbit. Bookmark the permalink.